It’s officially engagement season! With the stress of the holidays and a new engagement, our Houston wedding planners are here to offer our advice for future brides. First things first, no social media until family and close friends have been told. We know how exciting it is to get engaged, but you don’t want your parents or best friends finding out you’re engaged via Facebook when the rest of the world finds out! Once family and anyone especially close to you has been informed, then you can let the world know about your engagement. Want to know what a fairytale couple and wedding look like? Allow us to introduce Katherine and Cory. 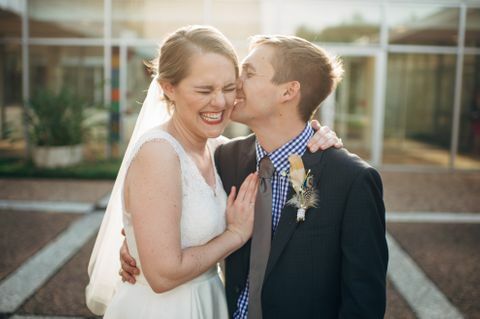 As the day of coordinators for their Houston wedding, we were taken aback by the beauty surrounding the entire day. 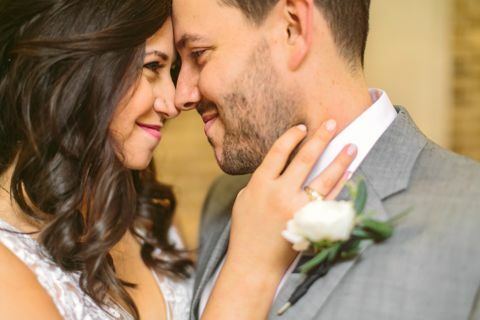 Katherine was one of the sweetest, most selfless brides our Houston Wedding Planners ever had the pleasure of working with. Both she and Cory made sure that everyone had an enjoyable night, all while bringing a little bit of Alabama to Houston for their out of town guests. As college rivals in Alabama, they came together to prove that it’s possible to have an amicably divided house! Ever found the perfect stationery but felt it was missing a little something? Our Houston wedding planners came up with this fun envelope liners DIY to give your stationery that final touch. 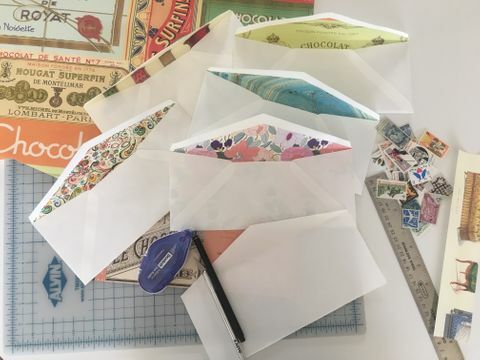 Adding envelope liners can make a simple letter come to life. This DIY was super easy and even more fun to do. As a bride, gather your bridesmaids together to help save some time and make a party of it! Sometimes our Houston wedding planners get a couple that are so original and fun, that you can’t wait to see how their big day will turn out. That’s how it was working with Emily and Jarrod. They were so excited to be getting married and so at ease with everything in life that our wedding planners couldn’t help but be enthusiastic as well! Let's take a moment to talk about Houston weather. If you live here, you know how temperamental it can be. This May was no different. Jenny and Mike’s big day was originally set to take place outdoors at the McGovern Centennial Gardens. The wedding venue was beautiful, but the weather- not so much. Out came the dark clouds and a week of nonstop rain. Whether you just got engaged or have been planning your upcoming nuptials for a while, we all know that the wedding planning process can get a little overwhelming. You’ve got venues to book, vendors to hire and timelines to stick to. You might think you don’t need a wedding planner, but we’re here to make your life so much easier! If you’ve already started the wedding planning process, you may want to think about hiring a wedding planner for Day of Coordination. We can’t stress this enough. Having someone as the point of contact on your big day gives you a chance to not have to worry about last minute calls and small details. 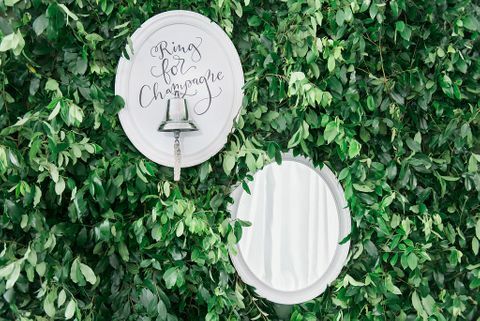 We make sure everything and everyone is exactly where he or she is supposed to be while you get to chat with your bridesmaids and sip champagne. Brittany & Sean had a lovely vision for their wedding, and they chose Oak Tree Manor in Spring to carry out their rustic boho-chic nuptials. 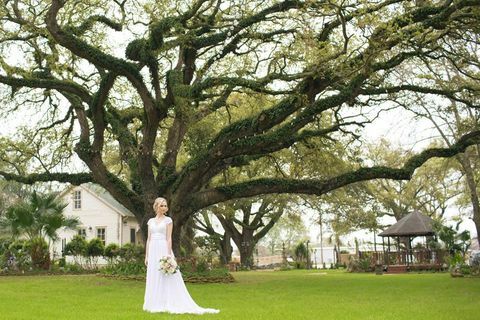 The ceremony was to be set under the majestic 200-year-old oak tree that welcomes guests to the property. We kept an eye on the weather for a week, and it was certain—it was going to pour on their wedding day. Brittany’s optimism was contagious as she chose the weather report with the smallest chance of rain, or the forecast of rain later in the day when everyone would be safely partying inside the Grand Hall already, when we had to talk about the contingency. The day of the rehearsal was bright and sunny, which actually made it worse, as we knew this wouldn't be the case on their big day. But Brittany and Sean were just so excited to get married, they didn’t care whether it was inside or outside. And that they did. Antoinette and Ethan were one of the most sweetest, most hospitable couples our Houston wedding planners have ever worked with. It all started when they asked us for event design help with their Houston wedding. Recent grads moving across country, long distance wedding planning can be tough, especially with a new career. I feel lucky to have had the opportunity to help this amazing couple. Gratitude can not even begin to describe the demeanor of probably the nicest clients we've had to date. It was an absolute pleasure bringing their dream to life at the Julia Ideson Library this spring. The bride's hashtag says is all. What began as #EthanIsDreamy evolved into #TheRosenbergsAreDreamy ....and I couldn't have said it better myself. 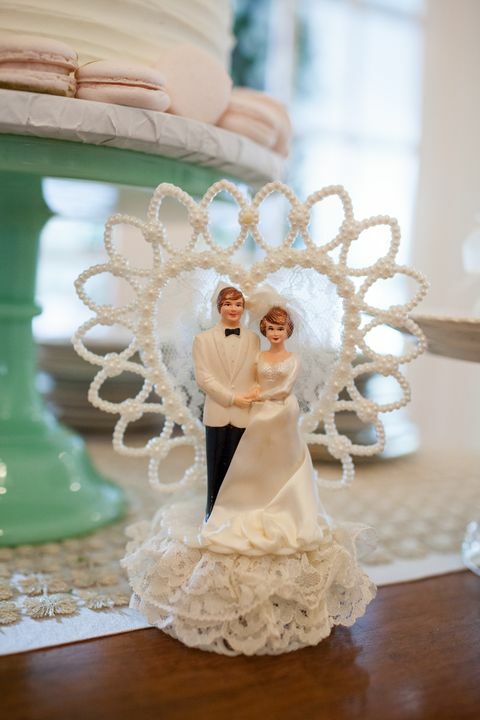 We just love these newlyweds! Read what Antoinette and Ethan have to say about their Houston wedding planning experience with Pomp & Circumstance Events! Have you ever wished that there were a bell you could ring and a glass of bubbly would magically appear served by a pristine white gloved arm? Well, so did we!